Animal Fat – used for flavor, provides essential fatty acids and helps keep skin healthy. Annatto Extract Color – food coloring derived from seed of the achiote tree that adds flavor and aroma. Beef Trim – provides protein and many vitamins and minerals, including vitamin B12, Niacin, zinc, iron, calcium and others. Beef Fat – provides essential fatty acids, helps keep skin healthy, used for flavor. Beef Liver – a natural source of protein, iron, and other vitamins and minerals. Beef Lung – a natural source of protein that is rich in vitamins and minerals, including vitamin A, B12, and C, zinc, calcium, copper, and others. Brown Sugar – blend of cane sugar and cane syrup used to keep product soft in texture. Buffered White Distilled Vinegar – natural acidifier that helps maintain freshness. Cane Sugar – is in a more natural state than refined sugar, used for product texture. Casein protein – from milk with gel forming capabilities. Chicken trim– provides protein, vitamin A, B-6, and B-12, iron, magnesium, and other vitamins and minerals. Citric Acid – natural acidifier that helps maintain freshness. Collagen Casing – made from the skins of cattle, used to make the link products. Dried Beef Pizzle – good source of protein and a taste dogs love. Dried Cheese – source of calcium and protein, used for cheese flavor. Dried Cultured Skim Milk – good source of calcium, used to preserve freshness. Guar Gum – used as a thickening and binding agent made from the guar bean. Lamb Lung – a natural source of protein and other vitamins and minerals. Lecithin – an emulsifier that is an antioxidant and flavor protector. 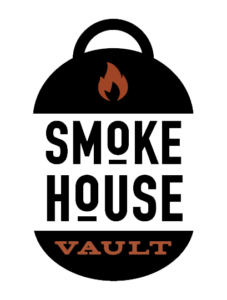 Liquid Smoke Flavoring – hardwood smoke that is condensed into liquid, used for natural flavoring. It is an antimicrobial and antioxidant. Molasses – contains vital minerals and vitamins, used as a flavorant and softener. Natural Flavor – made from meat, used as flavoring. Natural Mixed Tocopherols – a liquid product that is an antioxidant designed to protect food and preserve freshness. Oat Bran – good source of fiber, used as a binder. Rabbit – natural source of protein and other essential vitamins and minerals. Rice Flour – long grain rice flour is a good source of fiber and vitamins. Rosemary Extract – a natural herb to enhance flavor and preserve freshness. Rye Flour – good source of fiber, calcium, iron, and potassium. Salt – used for flavoring. Vegetable Glycerin – used to keep treats moist and soft, made from coconut or palm oil. Vegetable Oil – a good source of vitamin E used to help maintain product moisture. Venison – natural source of protein and other essential vitamins and minerals. Whey – a by-product of cheese-making is a good source of protein, used for flavor.